Xplorer international medical insurance is a prime example of top of the line international health and travel insurance. This is long term health insurance overseas that provides many benefits with worldwide coverage. The Xplorer insurance plan is best for anyone wanting first-rate health protection as they travel and live around the world! 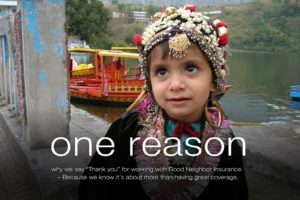 Many of our clients who have secured this excellent insurance are families and individuals working and volunteering internationally. Some of them are missionaries and work with faith-based organizations and churches; others are volunteers with NGOs and Nonprofit organizations. I want to tell you why this plan is one of the best in the world! Up to age 84, this is a long term plan that will provide unlimited coverage anywhere around the world. There are no requirements for eligibility except that you must be outside the U.S. for at least three months in the first year of the policy. Afterward, you can renew indefinitely, even if you move to the U.S.! There is coverage for medical expenses such as hospitalizations, health check-ups and wellness, doctors visits, medical evacuation and more. One thing to keep in mind for U.S. residents, if you should move back to the U.S. on the Xplorer insurance coverage, is that it is not ACA compliant. International insurance does not have to comply with the ACA laws for U.S. health insurance. Despite not being ACA / PPACA compliant, you can still use the network (Blue Cross Blue Shield and Aetna) and any other medical providers and be covered. Waiting Periods: Usually on other insurance plans, there are various waiting periods for certain benefits to be available. On the Xplorer international health and travel insurance, there is no waiting period for wellness benefits and preventative care, which are things like yearly physicals, physician office visits, child immunizations, and unlimited well baby visits. Pre-existing conditions have a 180 day waiting period. This means if you are approved and active on this insurance protection, after 180 days of continuous coverage, you can have coverage for any pre-existing conditions as any other illness. You also have the option to waive this specific waiting period with proof of prior creditable coverage. There is also a six month waiting period for maternity also has a waiting period; I will talk about that right after this! Maternity and Adoption: Maternity comes in the form of a rider, which you can add or remove at any renewal. Please remember, you cannot be pregnant before the effective date of the policy. There is a 12 month waiting period for maternity benefits to become active. You can indeed get pregnant during you first year, and add maternity right at renewal. Maternity can be added (or removed) at any renewal, whether pregnant or not. Maternity benefits are covered as any other medical conditions, with no extra deductible. There is coverage for the first 31 days following birth for newborns, with or without maternity. When you go to add them to your policy, you can apply within the first 31 days from birth for automatic acceptance. The same goes for adopted children. You can apply to add adopted children to your coverage within the first 31 days of adoption for automatic acceptance. The automatic acceptance is also with or without the Maternity rider! Sports coverage: Included on this amazing coverage is international extreme sports insurance. There are no exclusions regarding sports. However, some risky professions may be declined. One client I have worked with is using this same international protection to travel while he does surfing, scuba diving, and other international adventure sports. The insurance company that provides this phenomenal protection is a wonderful and dependable company with your wellbeing in mind. We enjoy working with them and recommending their plans. The GeoBlue Xplorer is remarkable health insurance overseas, and works for many types of international travel!